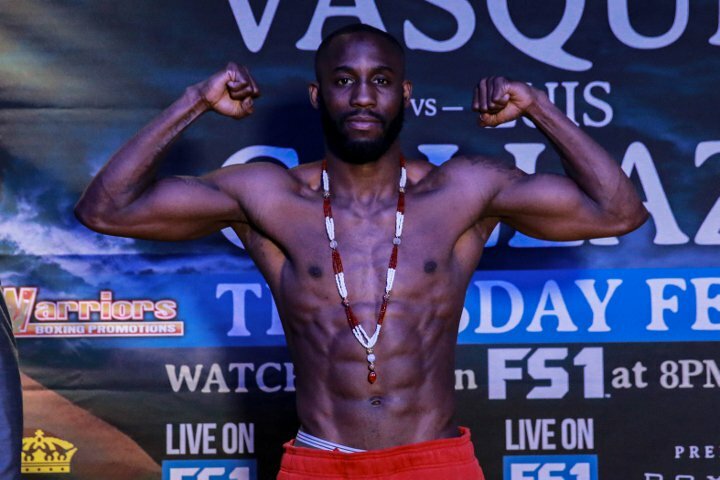 Ugas vs. Robinson kicks off a SHOWTIME CHAMPIONSHIP BOXING tripleheader at 10 p.m. ET/7 p.m. PT that is headlined by a battle between two-division champion Danny Garcia taking on former world champion Brandon Rios in a welterweight title eliminator. The co-feature will see 168-pound world champion David Benavidez defending his title in a rematch against top-rated super middleweight contender Ronald Gavril. This welterweight showdown will be contested for the IBF’s number two position for the title held by undefeated champion Errol Spence Jr.
Additional action inside the arena will feature 175-pound contender Lionell Thompson (19-4, 11 KOs) battling hard-hitting Edwin Rodriguez (29-2, 20 KOs) in a 10-round matchup, lightweight contender Ladarius Miller (14-1, 4 KOs) and former world champion Argenis Mendez (24-5-1, 12 KOs) clashing in a 10-round showdown and former top-ranked amateur Joe Spencer will make his pro debut against Uriel Gonzalez (1-2-1, 1 KO) in a four-round 154-pound bout. Ugas (20-3, 9 KOs), who was born in Cuba and now lives in Las Vegas, is one of the busiest boxers in the sport and a fast-riser in the welterweight division. After losing a unanimous decision to Amir Imam in 2014, the 31-year-old Ugas took a year off from boxing and came back on a tear. During a 12-month span from August 2016 to August 2017, Ugas won five straight fights, knocking off top contenders and prospects including Jamal James, Bryant Perrella, Levan Ghvamichava, Thomas Dulorme and Nelson Lara, including multiple wins on short notice assignments. Robinson (24-2, 12 KOs) is the epitome of a Philadelphia fighter – a consummate boxer who always comes to fight and likes to stay busy. Ugas will represent one of the toughest challenges of Robinson’s career. The 32-year-old southpaw fought three times last year and is coming off a seventh round technical decision victory over Breidis Prescott in Atlantic City on June 30. Rounding out the night of fights are unbeaten Andres Cortes (6-0, 4 KOs) in a six-round lightweight fight, undefeated Brian Gallegos (6-0, 4 KOs) in six rounds of super featherweight action, super flyweight contender Ava Knight (14-2-4, 5 KOs) in a six round attraction and unbeaten prospect Jonathan Esquivel (6-0, 5 KOs) battling Cameron Burroughs (4-2, 3 KOs) in a six-round middleweight fight.